May The Force of Magnetism Be With You! 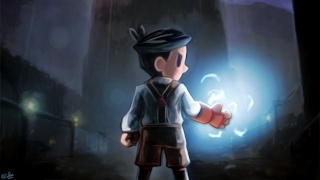 Teslagrad is a Metroidvania style platformer developed and published by Rain Games. The game focuses more on puzzle-solving than action oriented gameplay as you must use the forces of magnetism by obtaining special items scattered throughout the game and unleashing their power on various blocks, enemies, and other objects to make your way through an ancient tower! The game can be mind-numbingly difficult at times and you'll likely be stumped by many of the game's devious puzzles. 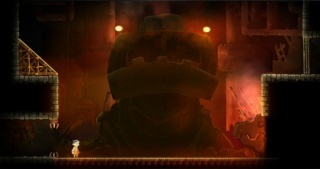 The game also tells its story in a unique manner as it is literally shown through projection video sequences with absolutely no voice acting which is quite interesting to be honest. The game while not overly lengthy will likely take first-time players more than 10-12 hours to beat thanks to its challenging gameplay! The bosses are one of the few action-packed parts of the game, but even these bosses require you to use your brains over brawn to overcome their tricky patterns and defenses! As for the controls they are quite good and easy to learn which is very nice, while the Off-TV play is a superb feature that has been implemented perfectly in this title! One issue we had with the game, albeit a minor issue is the fact that you can't share screenshots of the game via Miiverse or the Wii U browser which is quite baffling, but not a serious issue. Visually the game is breathtaking with unique and detailed character and enemy models, gorgeous backgrounds, and superb lighting and special effects that look retro, while providing some modern wow factor! The soundtrack is also superb and fits the game amazingly well. The sound effects are detailed too with a ton of different sfx clips that are of high quality. Overall the game is nearly perfect in-terms of its audio-visual standpoint! With superb gameplay, great controls, and excellent music and graphics Teslagrad is a terrific title worth checking out, while the challenging puzzles and bosses will keep you coming back for more! We highly recommend this game to any Wii U owner so what are you waiting for?! 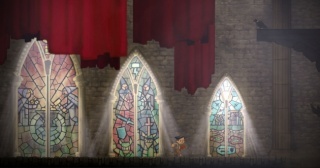 Download Teslagrad if you haven't already! Looking forward to this. Now I just need some free time lol. Awesome! I will pick it up, but probably at a later date since hyrule warriors is releasing soon! This game is too hard, but it is super fun too! Thanks for the feedback you guys and gals! What's the native resolution of this game? @Tinglemaster wrote: What's the native resolution of this game? I believe the game runs at 1080p on the Wii U.
I have this game and it is so fun! Completely agree with your review! I just might download this game thanks to your review @Rukiafan. Your reviews have come a long way since you started reviewing games boss!